We love to travel. And of course part of traveling is deciding where to lay our heads at the end of the day. We have stayed in boutique-style hotels, 5-star resorts, city apartments, condos and even a few road-side motels. 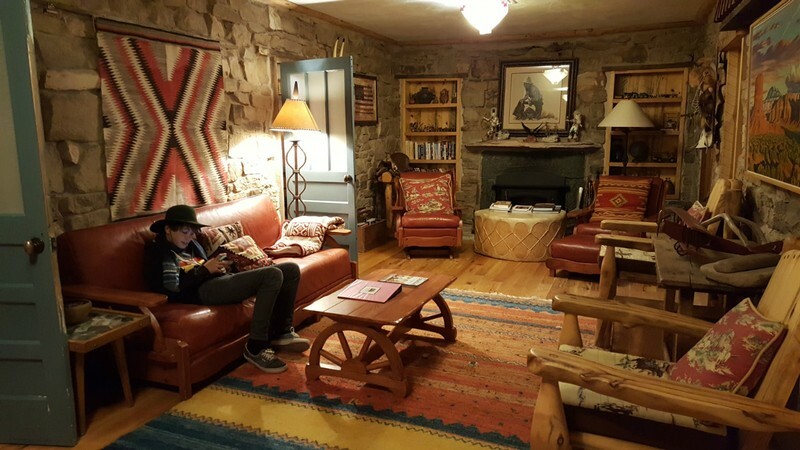 But staying at a working ranch or farm was something we had never done, until last week. 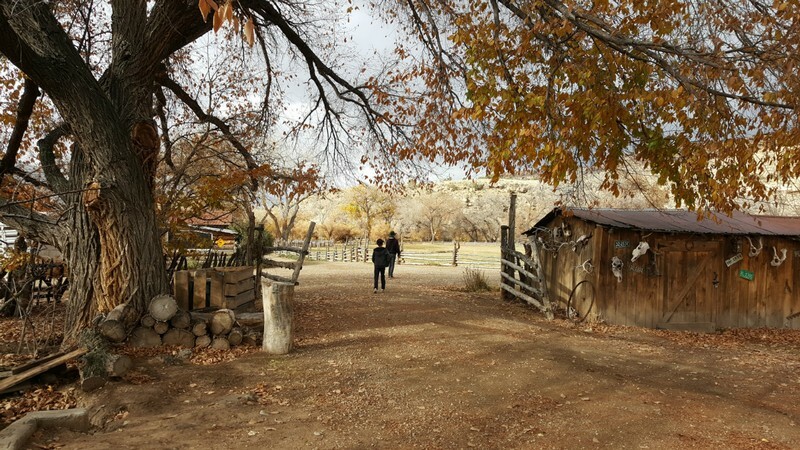 On a recent road trip through America’s southwest, we picked Canyon of the Ancients Guest Ranch outside of Cortez, Colorado. Not only did our experience exceed our expectations in every way, it also opened our eyes to a new kind of lodging. Staying at the ranch gave us an inside look at the local culture and a chance to participate. 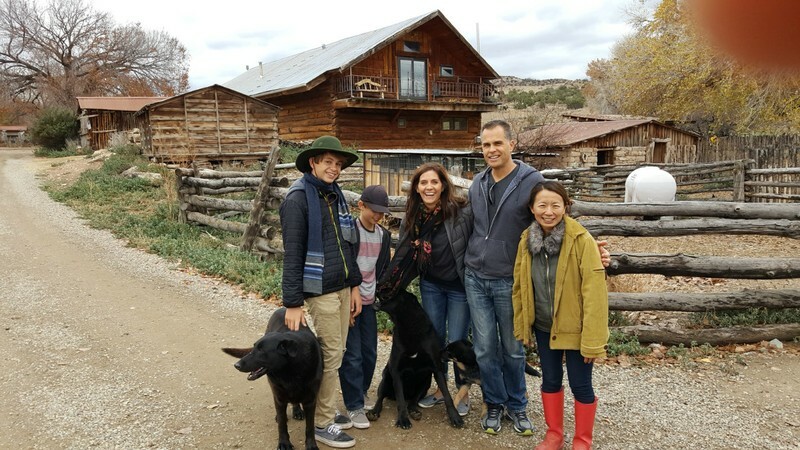 Find out what we loved so much about this special guest ranch. We arrived at 4pm on a Sunday afternoon. 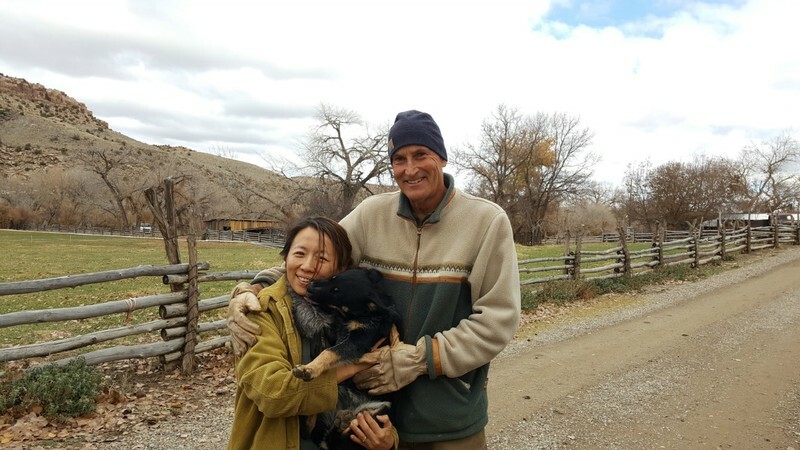 As soon as we drove onto the property we were promptly greeted by owners Gary and Ming, three dogs and a cat. Even the sheep, horses and cows in the nearby pastures seemed to give a welcoming nod. Our hosts showed us where to park and then proceeded to give us a grand tour of not only our cabin but a good portion of the ranch which resulted in an hour-long welcome. We barely had time to unload our things before we were zipping off on the Gator to meet Mickey the cow. We were genuinely welcomed and every member of our family felt it. As the sun was setting and the weather was turning chilly, we were glad to tuck into our humble abode that would be ours for the next 48 hours. The Eldon Stone House has a long history. 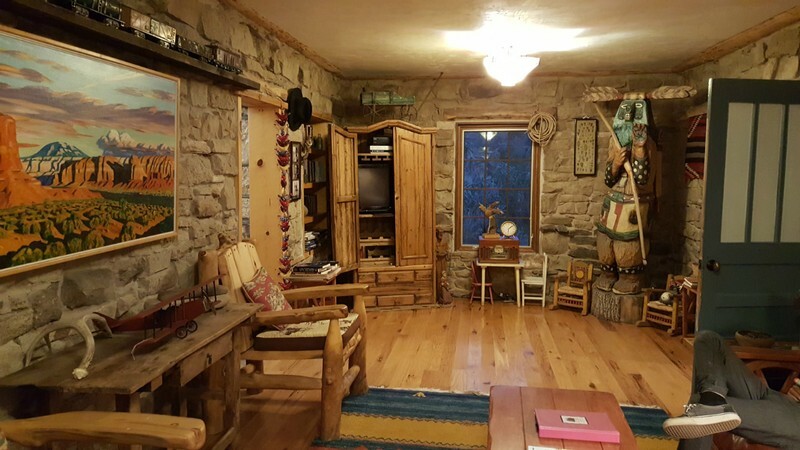 Built in the 1880’s and home to the old Zwicker family in the 1940’s this log cabin has been renovated to hold every modern convenience. The three bedrooms, full kitchen, living room, laundry room, bathroom and outdoor patio with barbeque were perfect for us. What we really enjoyed about this spacious cabin was the comfortable bed, luxurious linens, hand-details with high-end finishes, and amazing décor. The Eldon Stone House is almost like a historical museum, with shelves tastefully cluttered with tchotchkes. Some of them period pieces, some from Gary’s childhood, and some from world travels. What a surprise to find farm-fresh eggs in our refrigerator. Ming also emailed ahead of time to let me know that she had fresh vegetables from their farm co-op that we were welcome to have. 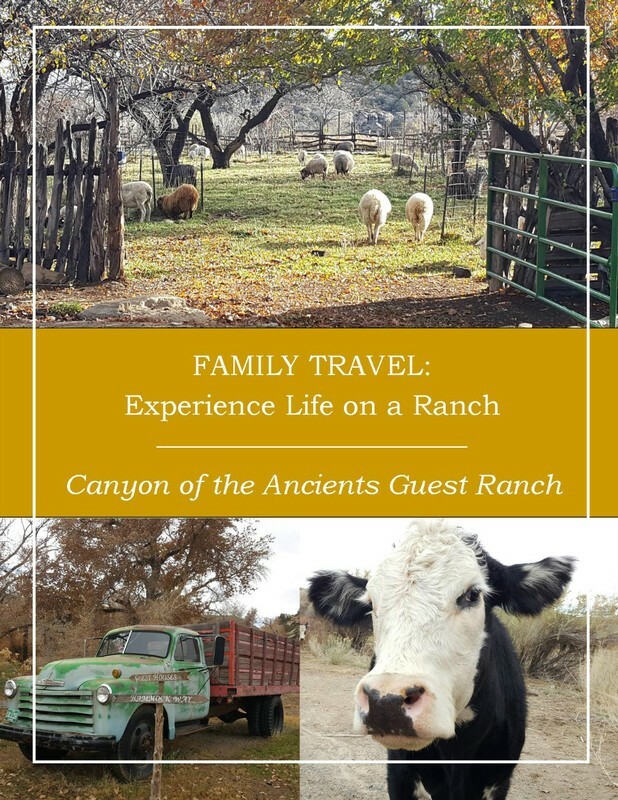 Canyon of the Ancients has it’s own farm, and guests are welcome to pick what they want from it. In addition, the all-natural grass fed beef and lamb raised there on the ranch is available for purchase. We used the outdoor grill and enjoyed the filet mignon on the first night and the rib eye on the second night. It was so fun for our family to be surrounded by sheep, chickens, horses and cows during our stay. Eldon Stone House is literally in the middle of it all! Savoring my morning cup of coffee, I watched three horses in the pasture just beyond our patio. 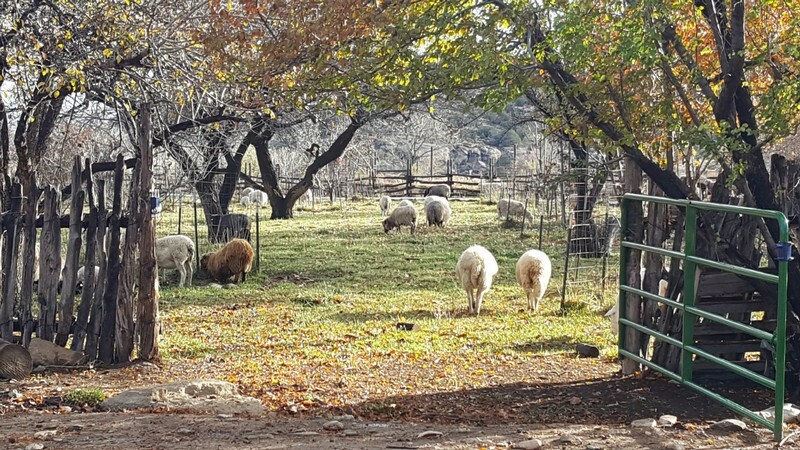 We loved hearing the sheep come out of their pen and make their way to open spaces each morning to graze. Watching the little lambs chase after their moms provided more entertainment than I expected. 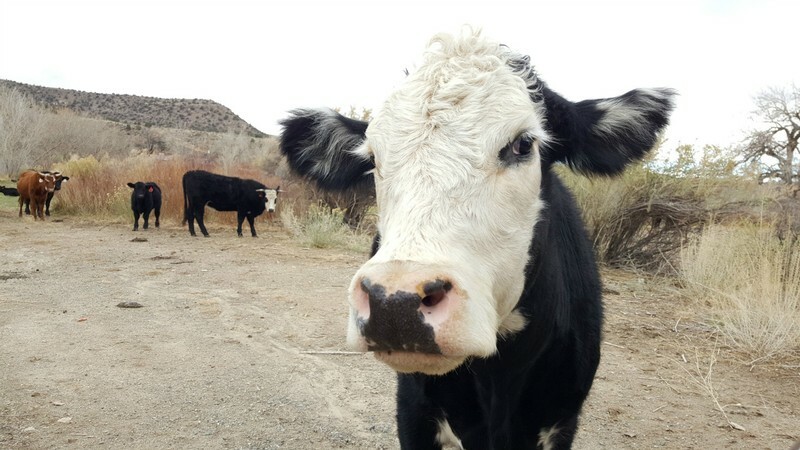 We spent some time with Mickey the cow and learned about her unusual story. 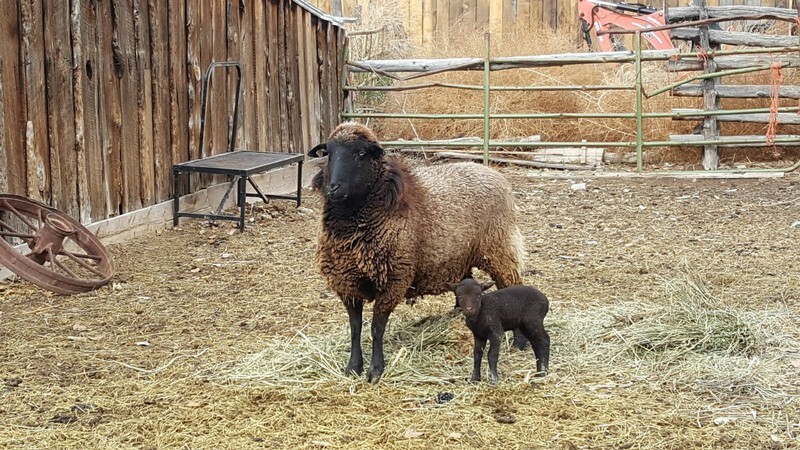 She was abandoned as a young calf and as a result grew up with sheep and dogs there on the ranch. She loves people, knows her name and even comes when she is called. Gary loves this sweet girl and has declared her inedible. 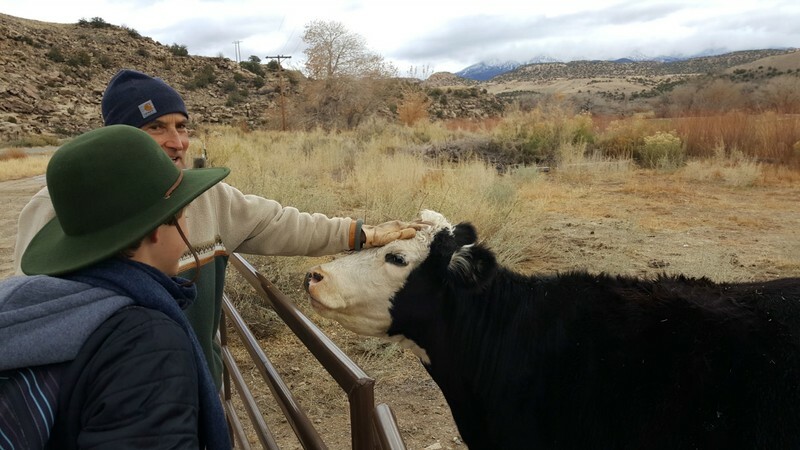 Driving around with Gary and helping with some of the ranch chores, we all gained an appreciation for the hard work that goes into ranch life. Animals needed to be fed, things needed to be repaired, the garden needed to be tended and much more. 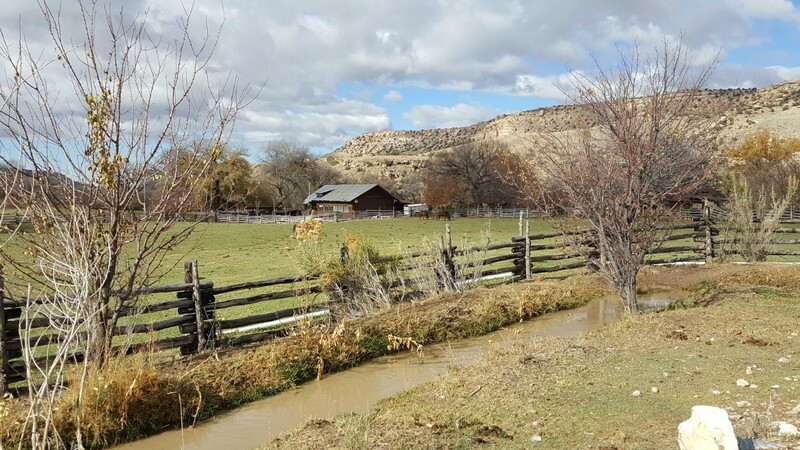 Fresh air, good clean fun, and being surrounded by some of our favorite things made this ranch stay one that will be a cherished memory for many years to come. Farewell - and thank you! Canyon of the Ancients Guest Ranch is located near the four corners area in Colorado and approximately 30 minutes West of Cortez. Prior to arriving at the ranch we had been in Monument Valley (just 2 hours away) and after we left the ranch we drove to Sedona, Arizona (about 5 hours away). 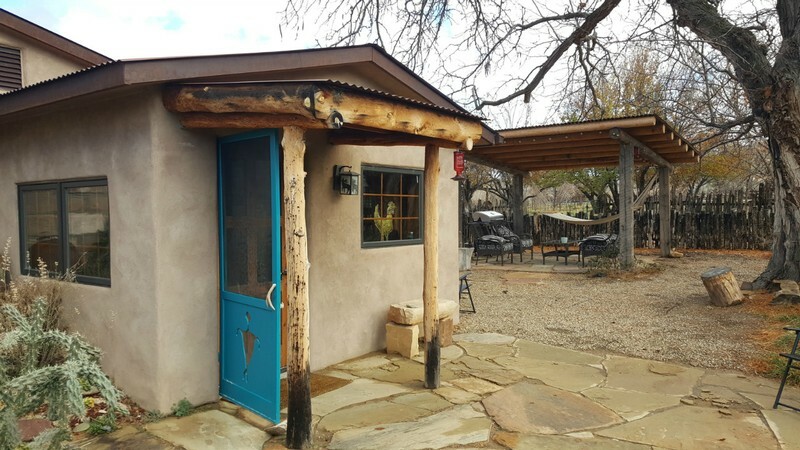 There are five guest houses available at Canyon of the Ancients. Prices start at $190 per night with a 2-night minimum required. All opinions expressed are my own. 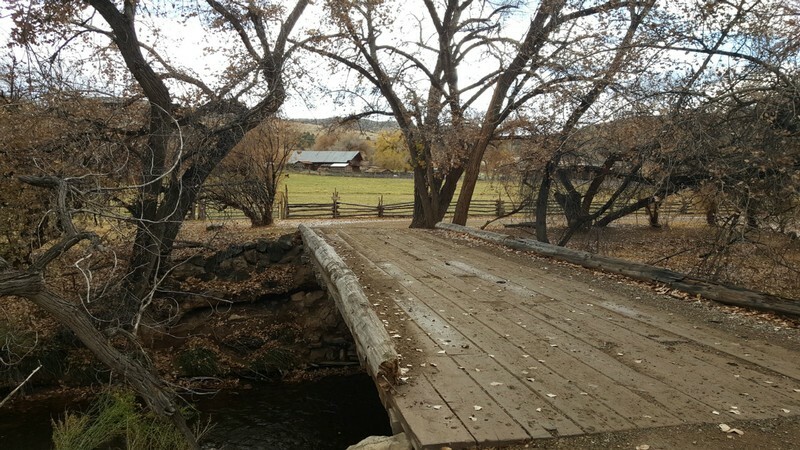 We did not receive compensation of any kind from Canyon of the Ancients Guest Ranch to write this post.